There’s nothing like a healthy competition to get people clicking. 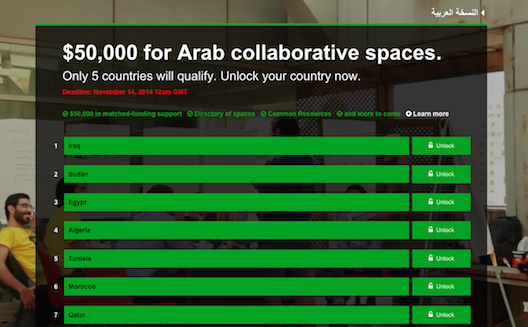 Hivos’s Mideast Creatives program and Zoomaal know something about this. 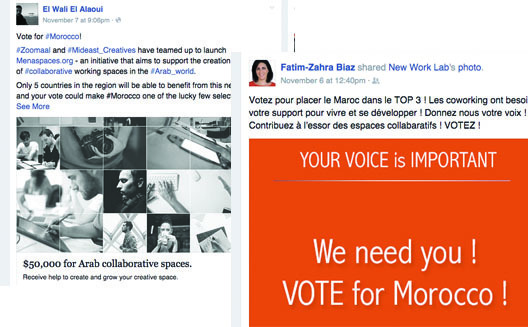 Ever since they launched their Collaborative Spaces Challenge, a competition to support the creation and growth of collaborative working spaces in the Arab world, my Facebook feed has turned into a battlefield, everyone vying to get their country the most votes. Tomorrow, phase one will come to an end, and the five countries that register the highest number of voters will qualify for phase two. 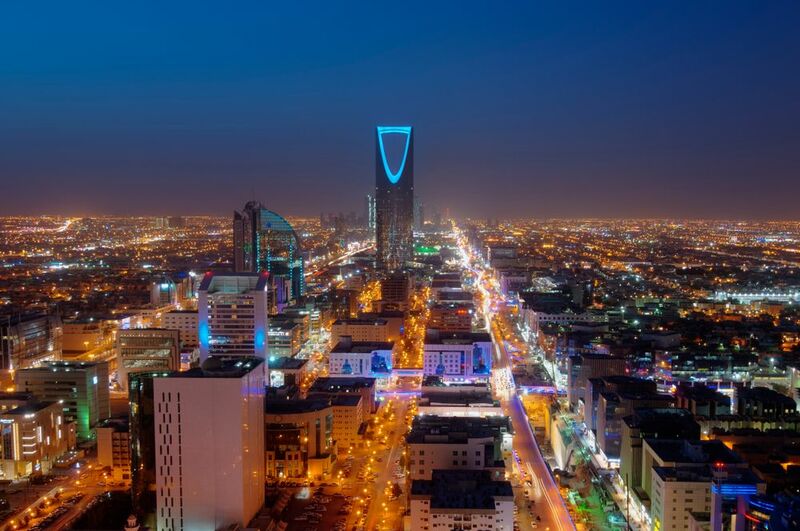 During this second phase, Mideast Creative vows to match funds with crowdfunding campaigns from the five countries, with a cap of $10,000, in an effort to empower collaborative and creative coworking spaces. 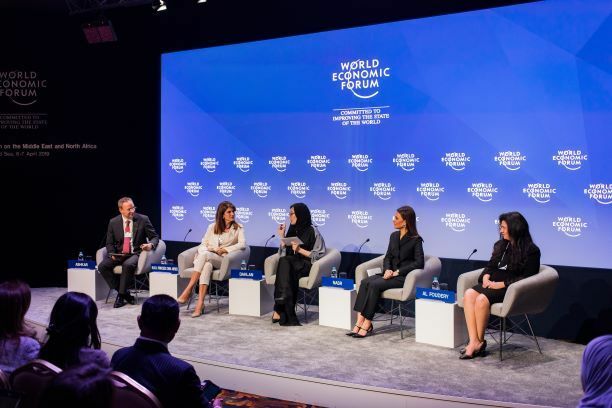 “The end result should be spaces that are able to better serve the growing entrepreneurial and creative ecosystems in the Arab world,” says the website. Concretely, this means that any crowdfunding organizer will receive up to $10,000 in matched funding, capped at $100 per contributor. So, if Funder X contributes $100 to your project, you will receive an equally matched fund of $100 by Hivos. 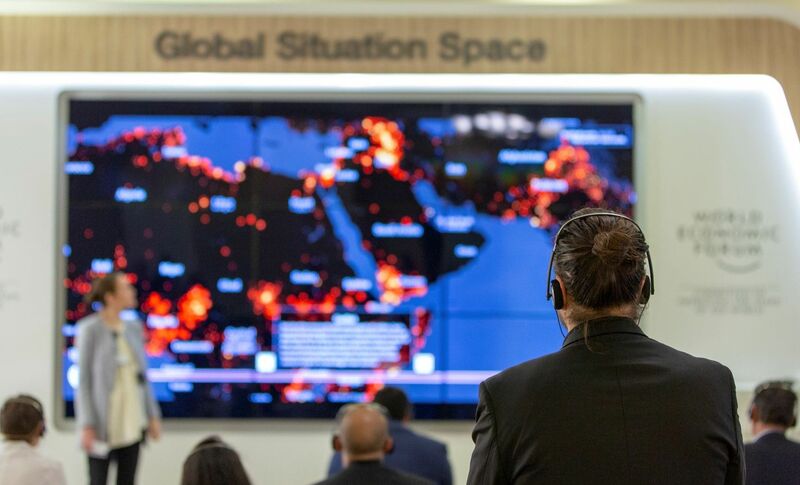 Among the five countries that have received the most votes so far are countries whose startup scenes are not that developed, namely Iraq (3,400 votes), Sudan (2,800 votes), and Algeria (1,200 votes). Egypt and Tunisia are also in the top five, and Morocco is not too far behind, but might still miss the qualifications. The Collaborative Spaces Challenge is part of a larger initiative called MENA Spaces, led by Mideast Creative, which will be a platform featuring a directory of spaces, as well as resources and whitepapers on building coworking spaces. MENAspace.org should be live in a few months, when the different crowdfunding campaigns come to an end. As a journalist I have sadly heard a lot of stories of coworking spaces closing down because they couldn’t afford the rent, or of coworking spaces never seeing the light of day because of a lack of funding and sufficient knowledge. Let’s hope this initiative will put an end to this. You have two more days to support a country. Vote here.